This should come as no surprise, but Virginia’s forests are a resource that really enhances the quality of life of her citizens. Our forests are a source of income – from timber harvesting to a variety of forest-related products. The total economic impact of agriculture and forestry-related industries in Virginia is more than $75 billion and the total employment impact of agriculture and forestry is approximately 501,000 employees – over 10 percent of state employment! Maybe more importantly, forests protect our streams and soils from runoff and help clean the air we breathe. As our population increases so does the pressure on forestland owners to sustain a variety of uses – and this requires the employment of practices that create added value for the forestland owner. This includes the application of biosolids. Application of biosolids to forests is recognized as an effective method of fertilization and soil conditioning. Biosolids enhance tree health, promote growth and can improve wildlife habitat. When best management practices (BMP) are used, research shows that biosolids can help protect water quality. Based on research from our friends at Virginia Tech, the pine forests in the Piedmont and upper Coastal Plains are particularly well suited to land application of biosolids. Farm and forestland landowners who choose to use biosolids must work with a contractor who will coordinate permitting and nutrient management planning on the dedicated forests to receive the application. The municipality retains the contractor, and there is no cost to the forestland owner for the material or the application. So – what are biosolids and where do they come from? The Clean Water Act requires communities to treat their wastewater and return this resource safely to the environment. Biosolids are the nutrient-rich organic materials resulting from the treatment of municipal wastewater. At municipal water reclamation facilities throughout Virginia, before the treatment process even begins, incoming streams are monitored and regulated to ensure that wastewater generated by businesses is compatible with the municipal treatment process. Today, municipalities provide additional safeguards through small business and household education programs, treatment plant controls and source control regulations. Once the wastewater reaches the plant, the sewage goes through physical, chemical and biological processes that clean the wastewater and remove solids. Water is then removed. The solids collected must undergo additional treatment to meet regulatory requirements that protect public health and the environment. The result is an organic material that can be used on family farms and forests. The majority of biosolids are applied to farms and involves spreading this material on the soil surface or incorporating or injecting biosolids into the soil. Land application has been practiced for decades and continues to be the most common method for using biosolids. Nutrients (e.g., nitrogen and phosphorus), micronutrients including essential trace metals (e.g., copper, zinc, molybdenum boron, calcium, iron, magnesium and manganese), and organic matter in the biosolids are beneficial for crop production, gardening, forestry, turf growth, landscaping or other vegetation. Biosolids condition the soil and reduce or eliminate the need for commercial fertilizers. In most cases, the application of biosolids to farms and forests is less expensive than other disposal methods and is therefore currently considered the most responsible approach for utility managers and the communities they serve. The beneficial use (land application and composting) of biosolids is an accepted practice in all 50 states and throughout the world. According to the Department of Environmental Quality, which regulates the application of biosolids on farms and forests in Virginia, about 52,000 acres received biosolids in 2013. So, less than ½ of 1% of Virginia’s farm and forestland received biosolids last year. Of this total, biosolids were applied on 1,280 acres of forests. Recently the Society of American Foresters Rappahanock Chapter viewed a demonstration forestry application of biosolids in Charles City County. In Virginia, approximately 50 percent of the biosolids that are produced by wastewater plants are recycled and used as soil amendments on farms. While only small portion of that is used on Virginia’s forests, it’s an application method that is growing steadily. Biosolids are a good source of nutrients since they act as a slow release fertilizer that supplies most of the essential elements needed to increase tree growth, including nitrogen and phosphorus. According to Dr. Thomas R. Fox of Virginia Tech, the application of biosolids to forest and has been increasing because of the proximity of many forests in the Piedmont of Virginia to the major metropolitan areas where the biosolids are produced. In 2001 just over 600 acres of forests in Virginia received biosolids, compared to the more than 1,200 last year. Additionally, the cost of commercial fertilizer has increased dramatically, making the cost savings of biosolids significant to private tree farmers. “The growth of most pine stands in Virginia is limited to some extent by the availability of nitrogen and phosphorous,” said Dr. Fox. “Large loblolly pine forests in the Piedmont and Upper Coastal Plan are well suited to the land application of biosolids since most of these forests grow on nutrient deficient soils and will grow better if fertilized. Nutrient uptake by tree roots in the soil is rapid which decreases the potential for runoff.” He said that research shows that most tree species grow faster when applied with biosolids. While some respond dramatically, others may show only a slight response. Within six months of a biosolids application, understory plants are usually growing much more vigorously and displaying a deeper green color than before the application. Increased understory vegetation due to biosolids fertilization is also typically higher. Much like best management practices are used in silviculture to provide environmental benefits, BMPs are also used with a forestry biosolids application. Some of these include carefully selecting and designing application sites, maintaining buffers from waterways and developing and implementing a nutrient management plan. Farmers and forestland owners who choose to use biosolids should be knowledgeable about the resource, and should be prepared to talk with their neighbors. Because biosolids is a by-product of the wastewater treatment process, it has a certain “yuck” factor for some people. Additionally, the information contained on the Internet about biosolids can be scary, suspect and confusing. Because of this, and because of occasional temporary odors that occur during application, some people question the use of biosolids on farms and forests or in the production of soil amendments such as compost. However, forestland owners and family farmers throughout Virginia have been applying biosolids on their forests and farm fields for decades. For them, the agricultural benefits are compelling—they’ve learned that biosolids are rich in nitrogen and other essential plant nutrients; they improve the quality of soils; and they are safe. 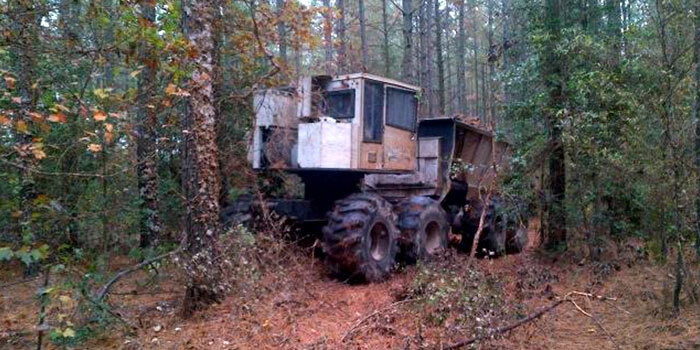 There are two contractors in Virginia who apply biosolids to forestlands – Nutri-Blend and Synagro. For more information on biosolids, interested foresters and forestland owners can visit the following websites.